It seems that I have been constantly thinking about the stagnant growth of literacy rates in many of our majority urban communities across the United States. Maybe, it's time for our educational specialists and administrators to totally rethink the how to implement strategic approaches utilized in gaining literacy improvement with struggling readers. It seems that effective merging of expanding technologies aligned with the infusion/integration of critical basic reading skills hasn't produced the results the educational community had anticipated. For our struggling black male readers techniques must be more clearly defined if the issue of increasing illiteracy is to be tackled effectively. Do we need more brain studies to link medicinal remedies to engage more areas of the brain? Do we need to adapt reading materials that will engage and motivate the urban learner? Should more visible mentorship black male to black male be considered? 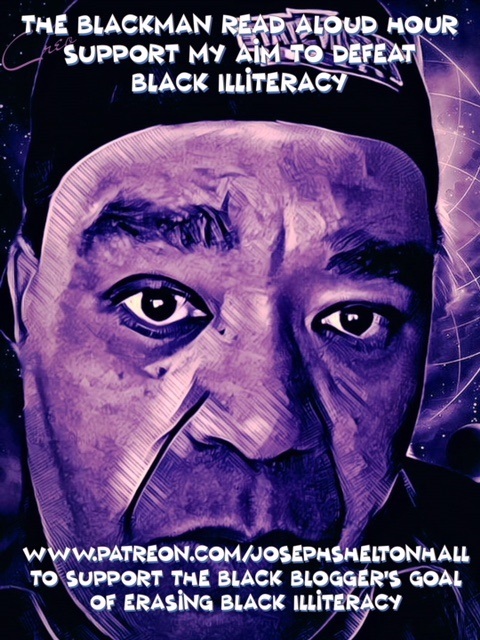 One thing is certain the appalling number of functionally illiterate black adults should be an unacceptable truth that currently limits our community's intellectual possibilities. I am not an educated degreed doctor of letters related to any of reading specialities. I am, however, someone who has worked in the field of literacy instruction for over four decades. It is apparent to me that we don't have secure models in place that emphasizes the point that black men can and should read; and that the art or science of reading is an essential human right for our community's black male residents. Whether that black man is incarcerated or not. The right to being able to read is as basic as the right to being able to breathe in my opinion. For the past 26 months, I have been engaged in the monumental task of building a one-man literacy movement from my home office. I started this black man read-aloud project that I feel has morphed into something truly special. It much more than an audiobook series. It's a teaching series that emphasizes literacy. By merging the reading of non-fiction black historical literature alive on a social media network, Facebook Live. I have created now a collection of videos that range from 30-60 minutes of a black man reading aloud quality non-fiction literature. By using two facets of emerging proven technologies iBooks as well as Facebook Live. I have been able to develop a consistent following for Project Uplift Literacy. 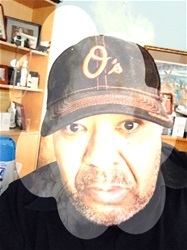 I have renamed the literacy sessions "A Blackman Reading Aloud Hour" because the objective of the project is to develop black men capable of reading aloud. The "The Blackman Read-Aloud Hour", doesn't specifically instruct on the complex art of how to read. Since the purpose of my project is defined to show our community that indeed Black men do read and do read and comprehend complex text. So The Blackman Read Aloud Hour will hopefully enlighten struggling readers and solicit motivational energy for those struggling to read to join the project and start reading aloud as well. It's easy to simply ignore this pressing black community illiteracy issue but sooner or later this deficiency will come back to bite our communities in the rear. It will keep us in the rear as it relates to progress. So by aligning our glorious black history to "The Blackman Read-Aloud Hour, we may be able to elevate community consciousness something we haven't been able to do for more than 50 years. Reading shouldn't be a chore nor should it be a fearsome opponent, it is however essential to securing social equality. Being able to reading is a skill that is so vital to the collective growth of our black communities. If every one of black men capable of reading is indeed becoming a comprehending reader. They, in turn, will be more successful in navigating in today's society.